A warm welcoming smile from your staff and the comforting willingness to help in face-to-face interactions is without any doubt, a fantastic strategy to engage your customers. Sometimes, all a customer needs is to take care of a simple transaction, the fastest way possible. In these scenarios, if customers are offered a shortcut, they’ll take it! Why not offer the best of both worlds, giving customers the chance to choose the path that bests suits their needs? 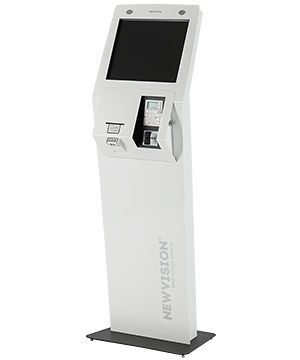 NEWVISION’s premium quality Kiosks to publish your marketing messages, provide access to queues and help customers navigate your facilities, or acquire products directly and make payments. Self-service channels are amazingly intuitive tools that allow customers to get the fastest and most efficient service and allow your representatives to focus on more complex tasks, that often require a more personalized assistance. 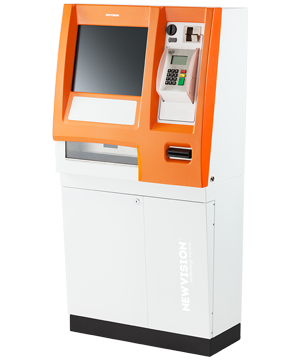 Newvision develops premium quality Kiosks as self-service channels, allowing for a wide range of applications and customer interactions - the potential is virtually limitless! Offer countless transaction types, such as the direct sale of products and services, the ability to access endless sources of information and official documents, or even using it as an engaging marketing channel. Increase the global performance of your services, commissioning repetitive and time consuming tasks to Kiosks, freeing your professionals to execute more complex tasks, offer a more personalized service and keep the focus on revenue. 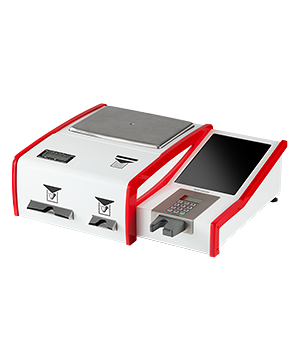 Newvision’s Kiosk solutions can adapt to the most demanding business requirements, delivering incredible functionality right from the moment of implementation, always holding amazing potential to expand and evolve. Our Kiosk solutions are fully prepared to integrate with so many other customer service solutions and 3rd party systems, expanding the reach of their functional potential - from multiple kinds of payment systems and customer identification methods, secure links to sales and CRM databases, etc. 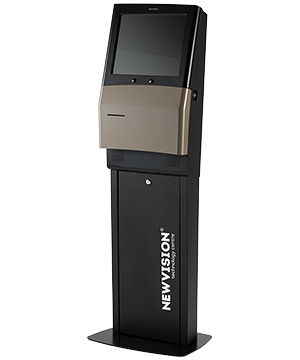 Because Newvision understands that interaction channels should be perfectly integrated in the service environment, our Kiosks solutions are designed to enable incredible customization, on both the exterior frame and multimedia interfaces, branding them with your own image and visual identity. Use the amazing power of the SIRIG platform to manage your entire estate of Kiosk devices, keeping close eye on status, perform maintenance operations, get real-time sales performance indicators and full access to transaction details, through its incredible reporting capabilities. Provide the fastest “in-and-out” access to simple, repetitive transactions, and a premium direct sales channel. Diversify your contact channels, providing your customers with more autonomy and choice, through self-service functionality. Offer customers an engaging, technology-based touchpoint, capable of adapting to any business requirements, and deliver virtually limitless transaction capabilities. Enhancing your human resource allocation, by automating tasks such as: providing customer query information, point of sale for products such as cards and vouchers, access to corporate account, invoice payments and service subscriptions. Consistently deliver quality information and marketing messages, such as promotional campaigns and loyalty programs.